Last week Epic Games released the Fortnite v8.10 Patch Update bringing new Baller Vehicle, Free Vending Machines, and other enhancements and features to the game. Today Epic games released the Fortnite v8.11 Patch Notes for PS4, Xbox One, PC, iOS, Android, and Nintendo Switch. 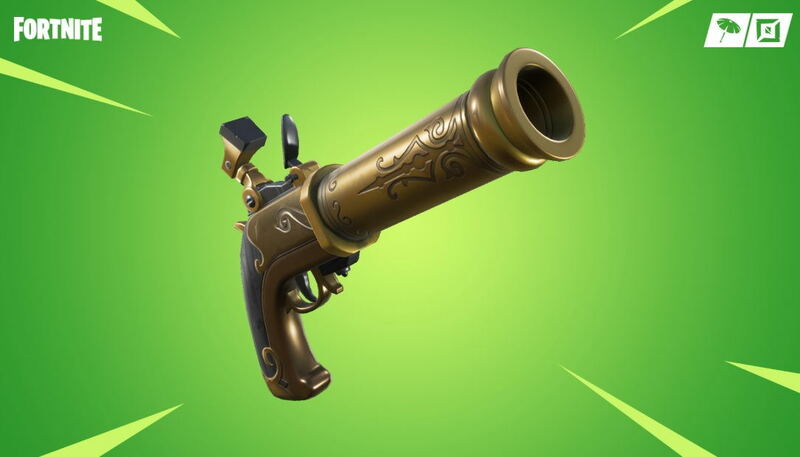 The latest Fortnite v8.11 Patch Update as always brings some new weapons to the game and this time the update adds a new Flint-Knock Pistol, Impulse Grenades, Scoped Assault Rifle and more. The latest v8.11 Patch notes also include fixes for the Galaxy S10 full-screen support issue. Below you can find the full patch Notes including new Fortnite weapons and items added with the latest v8.11 Patch Update. The latest v8.11 Patch update also brings several fixes including UI and Samsung Galaxy S10 issue, where full-screen support was not working on Samsung S10 devices. The following Mobile issue has been fixed with the latest patch update. For other patch notes details, you can head over to the Fortnite v8.11 Patch Notes release page here.